Blue skies and temperatures above 25C° outside – finally its summer over here. After the winter upgrades of the datacenter it was getting much hotter and some CPUs where at nearly 65C° idle and on load at 72C°. First step to fix this cooling issue, was powering down redundancy system. After that going to the nearest hardware store and buy some fans for an extra cooling. With the new cooling all system are running again at the datacenter. The window is opened 24/7/365 for fresh and cool air from the outside. There is a dust filter installed after the metal protection of the window. The new added Tristar VE-5933 fan pulls fresh air from the outside into the datacenter. Running at max speed and consuming 50W of power. 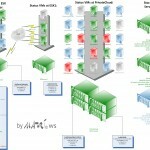 To optimize the cooling a second fan with was added in front of the server systems of the datacenter. 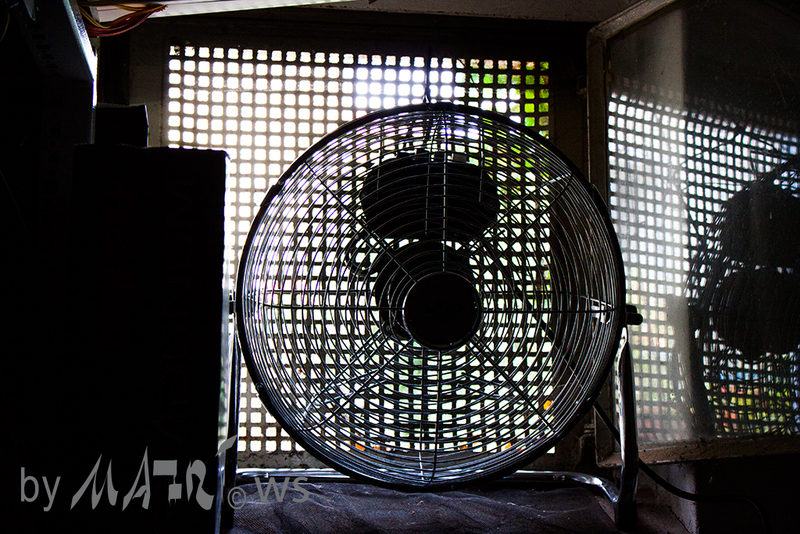 This fan directs the fresh and cool air from the window fan directly to the servers. This little upgrade improved the cooling in such good way that CPU temperatures are down by 20C° to 30C°. 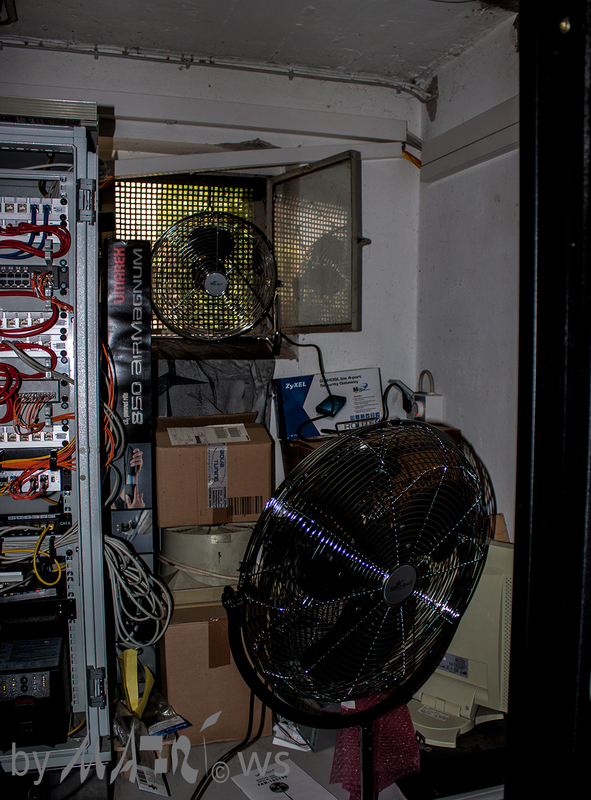 The stand fan in front of the servers consumes about 135W. Both fans are metal fans and not build of cheap plastic. The fans are also very quiet. 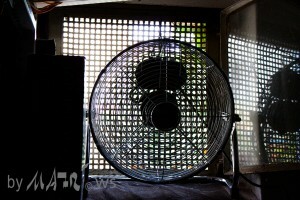 I’m considering to buy the standfan a second time for my Office.